Looking forward to this very special event at the Vancouver Public Library from 2-4 pm on August 11 at the downtown library branch. My friend, Rebecca Duncan, dynamic Squamish Nation storyteller, will be telling the Whale in the Door story. There will be whale puppets and whale songs, poets reading poems about the Pacific, and I will be reading from Whale in the Door and singing songs about Howe Sound/ Atl’kitsem. 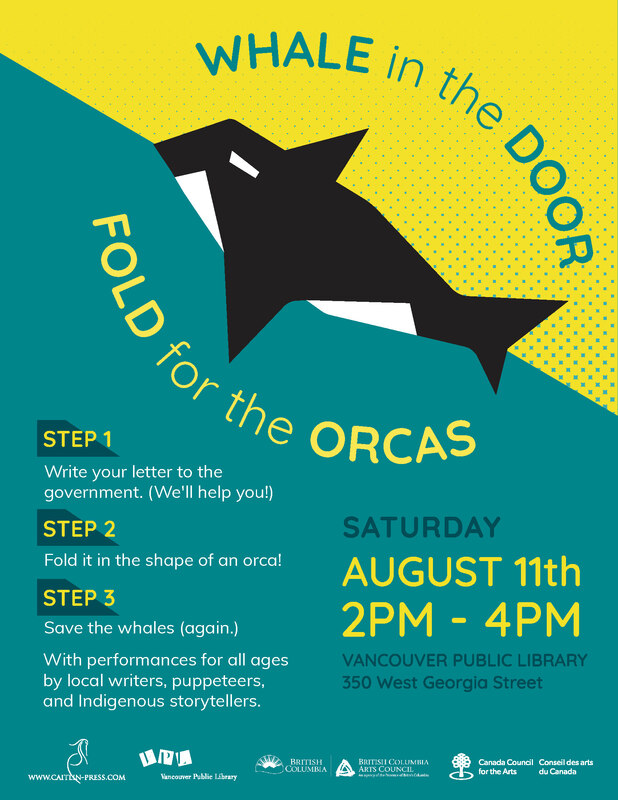 People of all ages are invited to come and write a letter to the government asking for more protection for southern resident orca whales, They will then be shown how to fold the letter into an origami orca!